Enjoy snowmobiling in Michigan like never before! Bundle up ... head out! 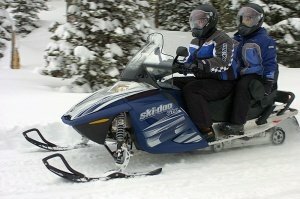 Snowmobiling in Michigan is an extremely popular wintertime activity. This is a beautiful time of year in our state. The snow blankets the woods and trails creating a winter wonderland that is breathtaking. Michigan snowmobile trails are open from December 1st through March 31st. Of course if you own land, or know someone who does, you can ride till the snows gone. Safety has to be your number one priority. Every year you see stories of someone badly hurt or killed with one of these powerful machines. Just like driving a car ... know the rules and regulaions, drive defensively and never drive drunk! I once ventured out on a inland lake with a friend on the back of his snowmobile. We were blasting across the lake when he made a last second hard turn. We nearly missed a huge area of open water. Lesson learned ... if you are riding on a lake go slow and be on the lookout for open water! You must have a snowmobile trail permit sticker displayed on your machine. These are good from October to September (one year). You can purchase them online, from the Michigan Snowmobile Association or any DNR operations center. Snowmobiles must be registered in Michigan. If you are a non-resident bringing your machine be sure it is registered in your state. The registration decal must displayed be on your machine. They do check for this! 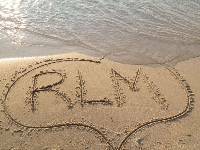 For all the rules, regulations and snowmobile information check the Michigan Department of Natural Resources site. They also have printable maps of all the county trails. You'll have a great time, meet new friends, and see some of the most spectacular winter scenery in the world. You will understand why snowmobiling is so popular in Michigan. From Snowmobiling in Michigan Back to Michigan Winter Fun.